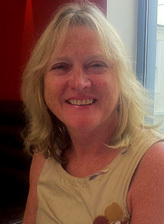 Mairi has 30 years experience in business, both internal and external. Corporate Governance: Mairi is an experienced and knowledgeable Board member herself and works with companies and Boards to ensure their effective operation. Business Mentor: Mairi takes an active approach to coaching and mentoring senior executives and leaders to enable best possible decision making and inspirational leadership. Strategic Planning and Business Analysis: Mairi is skilled and innovative working with top teams to determine vision and strategy. She is expert in problem solving business and people issues. Democracy and the Political Environment: Mairi’s experience working with Local and Central Government Politicians offers expertise in development with political group members and in managing the political interface. Speaking and Lecturing: Mairi is a confident and engaging speaker drawing on a wealth of case studies and everyday leadership experience.